A PEO is a strategic partner to its clients for human resources, payroll, employee benefits, employment law compliance, and risk reduction and shields them from most employment related liability. Efficiency created through this relationship allows small businesses to keep down costs and regain their focus on core business functions. What is a PEO doing to help its clients? Professional employer organizations streamline many non-revenue producing components of a company’s back-office administrative function. Furthermore, PEO clients leverage the group purchasing power made available to them to reduce costs in areas such as employee benefits and workers’ compensation insurance. Businesses today need help managing increasingly complex employee related matters such as health insurance, work-site safety, employment law compliance, and employee relations. Companies join a professional employer organization to outsource these responsibilities and receive expertise in human resources management. This allows the PEO client to concentrate on the operational and revenue-producing sides of its business. 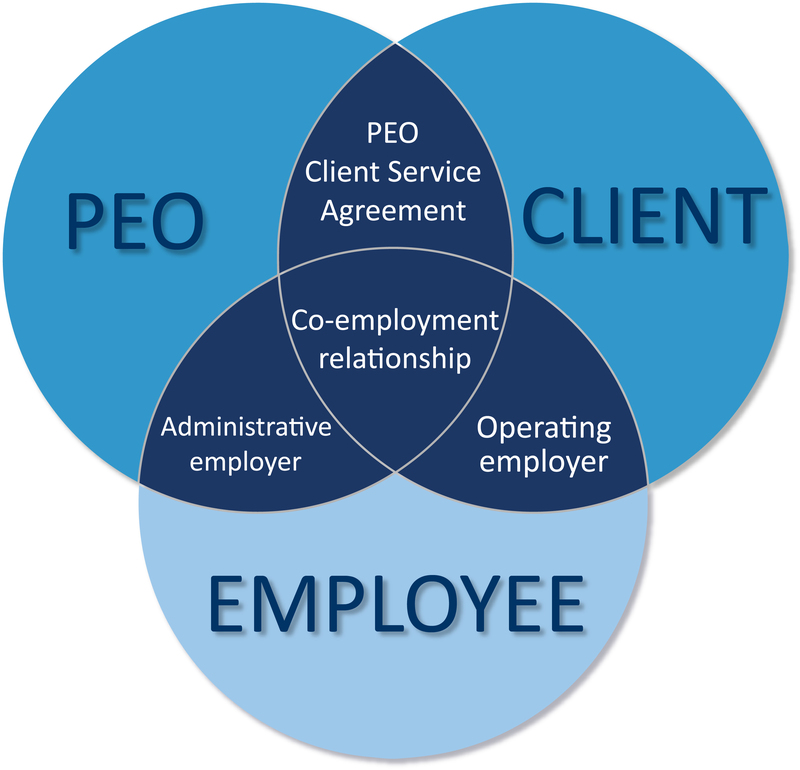 The PEO offers its services through a co-employment model, thus becoming the administrative employer of record for tax and insurance purposes. Employers who outsource these functions to a PEO enjoy more peace of mind by sharing their employee-related risks and liabilities with HR experts. According to research conducted by the National Association of Professional Employer Organizations (NAPEO) there are over 780 PEOs to choose from. Trying to manage the process of finding the best one for your business can be a daunting challenge and should not be done alone. Onward Advisors’ experienced team of independent PEO consultants will guide you every step of the way so that you are confident in your decision.